Google Auto Suggest is, as we can see from its name, an automated suggestion system. It is based on popular search queries. 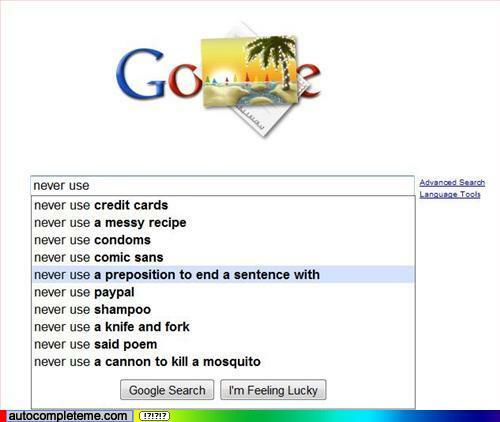 Since there’s a lot of weird people out there, Google will sometimes make some weird suggestions, as shown below. Also, if you spend some time on Google Earth or Google Maps, you might find some weird & funny stuff as well. I thought this was funny! Especially if you’ve seen Terminator. 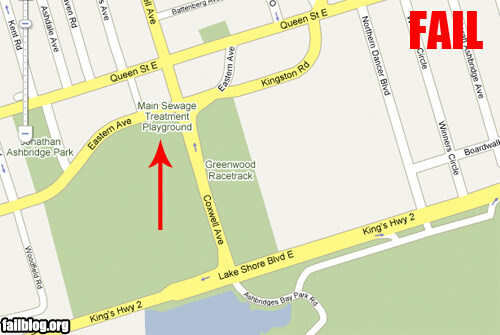 Is that a Google Maps fail or a playground fail? Thanks for sharing Google failing jokes with us. Thanks lot.. Have a fun with these jokes. 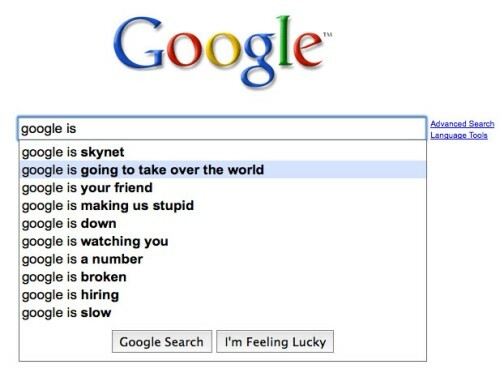 Google isn’t going to take over the world, it already has taken over the world. Ask anyone who got whacked by the panda update. Nice ones! I hadn’t seen the second one before. Thanks for sharing those fails! On my google.co.uk when I type google is it suggests google is rubbish. I am going to have so much fun with this.